The following are testimonials by participants of previous White Leadership™ engagements. Like most of you, I have had the opportunity to attend a number of programmes bearing the buzzword, “Leadership Skills”. 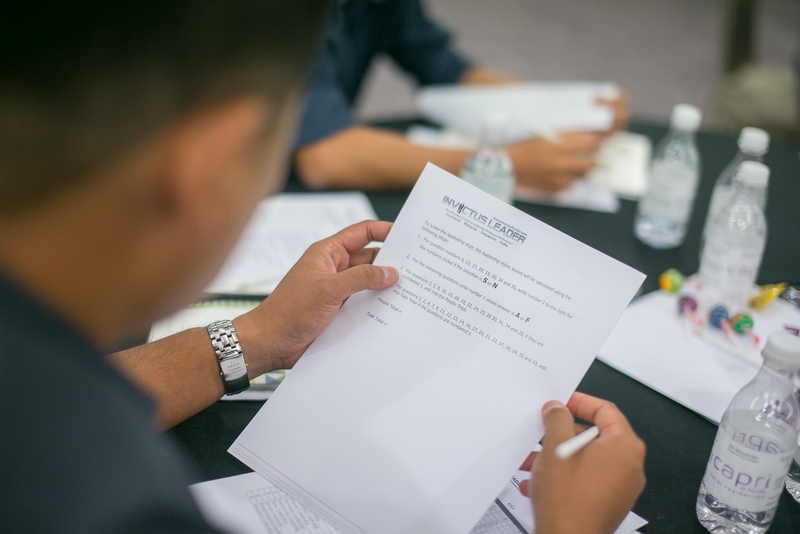 Here at F&N, a high priority is placed on developing people talent, and for that we worked with Invictus Leader to assess, identify and engage our key talent. The journey was exhaustive and highly innovative at the same time. In the quest of realizing their intertwined strategic goals, the programme methodologies applied brought real utility to both the employee and the management alike. Believe me, this programme is truly different and sets the standard in terms of excellence! Frankly, it’s a pleasure to endorse V. S. Ravi as a Coach and key enabler towards making this, arguably, one of the best practical programmes that I’ve been part of. Ravi’s unorthodox approach to leadership training is like a prophecy by itself! What I found valuable was the opportunity to co-facilitate with Ravi on various occasions (both internally and externally), and this has certainly enhanced my learning experience in leadership and coaching. This is a unique proposition that Invictus Leader can bring to your organization – your leaders not only experience internal interactivity but are also given the opportunity to step out of their comfort zone. This will enable them to step up and be the change catalyst in your organization. To sum it up, be prepared for the unexpected; Ravi doesn’t stick to routine and his approach is evolving all the time. A word of CAUTION though; it will change the way you think, behave and act! Unless you are serious in identifying and developing your talents, high potentials and successors, or in nurturing leaders in your organization, and are a non-believer in 3- or 5-day programmes that could turn someone into a leader overnight; then don’t bother wasting your time checking out Invictus Leader’s programmes. The programmes are beyond the usual awareness-building exercise; they are a myriad of leadership adventures in learning, discomfort and fun, with thought-provoking scenarios, cases and sometimes dramas…to move you…to make you think…to behave…to change and ultimately evoke the leader in you. A note of caution – only real leaders will emerge and survive these programmes, and mind you, that will be the ROI that all organizations are looking for in human capital development. It is not just a spoon-fed solution to merely create awareness but a thinking solution that will ripple through your organizational culture if you plan it right and work together with Invictus Leader closely. Ravi is truly dedicated in developing leaders and has indeed shown integrity, passion and his wealth of experience; it is without doubt that he possesses the credentials to groom leaders. His unorthodox methods will give you a jolt to your mindset, behaviour and, more importantly, the change mentality of your organization. Since graduation, I’ve always been looking forward to growing my career to a level equivalent to that of my Manager or even General Manager, or to be precise, a top leader. Since then, I have learned the way they talked, the way they do the business etc. However, my thinking and perception about leaders was completely changed when I participated in Invictus Leader’s training. This training actually awakened me to the fact that leadership is not about others, but it’s all about YOU (myself). The journey started with the most important element, i.e. “Authenticity, Attitude”. Besides that, the “Think-Act-Behave” module played a vital role in developing my own leadership skills with the guidance of Coach Ravi. Coach Ravi has depth and insight about leadership, and he constantly shared and coached us to betterment. He facilitated the training using multiple approaches. Sometimes it was encouraging, yet at times, it felt like “hardball” to us! Coaching will be the most effective way of changing leadership mindsets and accelerating the development of a company culture that will stay. Invictus Leader is at the forefront of this life-changing programme.